In 2018, Reitmeier’s commitment to environmentally responsible practices was recognized by the Washington County Solid Waste & Recycling, and we were awarded the Green Business Award. Green Business Award winners don’t just recycle—they have instituted a wide range of environmentally sustainable practices such as preventing wasted food, reducing paper use, buying supplies in bulk, eliminating the use of paper towels, and providing customers and employees with reusable dishware instead of disposable items. In 2010, Reitmeier’s dedication to a thriving culture and employee happiness was recognized by Oregon Business Magazine, and we were celebrated as one of the state’s Best Companies to Work For. Given the challenging economic environment in that year, we are especially honored to have been recognized for our commitment to providing a supportive, productive work environment. Thank you, Reitmeier team, for nominating us as one of Oregon’s Best Companies to Work For! In 2009, our dedication to sustainable work practices was recognized by Oregon Business Magazine, and we were celebrated as one of the state’s Best Green Companies to Work For. Sustainability inspires our mission of balance, and we are especially honored to have been recognized for our commitment to sustainable business practices. Thank you, Reitmeier team, for nominating us as one of Oregon’s Best Green Companies to Work For! Interested in working at Reitmeier? Visit our Career Center. Reitmeier is a proud member of The Associated General Contractors of America (AGC), whose mission is to serve our nation’s construction professionals by promoting the skill, integrity and responsibility of those who build America. The Reitmeier team has held past board positions with the AGC, and we embrace the opportunity to participate in industry dialogue in the Pacific Northwest. Reitmeier is a proud member of Associated Builders and Contractors, Inc. (ABC), a national association driven to ensure work safety, ethic environments, and profitable employment opportunities throughout our community. Reitmeier facilitates ABC’s apprenticeship program, and maintains active participation with the ABC board. Reitmeier has been a proud member of the Energy Trust Trade Ally Network since its creation in 2003. Through the Trade Ally Network, Reitmeier works with The Energy Trust of Oregon to provide economic incentives to local building owners pursuing high-efficiency equipment retrofits and energy-efficient renovations. In 2017, Reitmeier became an official certified B Corporation – the very first HVAC company in the world to achieve this! To become a B Corp, we had to pass rigorous standards of social and environmental performance, accountability, and transparency. We believe that business has a higher purpose beyond simply profit, and becoming a B Corp solidifies our commitment to always being a great place to work and to hire. 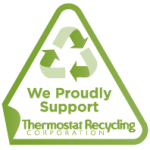 Reitmeier recycles thermostats through the Thermostat Recycling Corporation (TRC). This nonprofit HVAC industry organization facilitates the collection and proper disposal of mercury-containing thermostats nationwide. When we remove mercury thermostats from service, we bring them to TRC’s recycling program, keeping them out of landfill. Visit www.thermostat-recycle.org for more information. Reitmeier is a proud member of the US Green Building Council (USGBC), a nonprofit organization committed to a prosperous and sustainable future for our nation through cost-efficient and energy-saving green buildings. Four members of the Reitmeier team are pursuing Leadership in Energy and Environmental Design (LEED) accreditation and will be certified as LEED AP in 2014. Reitmeier is a proud member of the Institute of Real Estate Management (IREM). IREM promotes ethical real estate management practices through its credentialed membership programs, certifying competence and professionalism for those engaged in real estate management. Reitmeier proudly purchases renewable energy from Portland General Electric (PGE) – a recognized leader in the utility industry and the most popular renewable power program in the nation. In doing so, we are supporting the development of renewable electricity sources, changing the way power is generated, and preventing more than one billion pounds of carbon dioxide from being released into our environment each year. Reitmeier is an “Air Ally” with Air Northwest, working to improve building air quality and occupant comfort while saving them energy and money through the installation and maintenance of energy-efficient HVAC systems. Want to learn more about how Reitmeier can help you with your HVAC service needs? Contact us today!